Hello & Welcome!! I’m so sorry that it’s been a while since I last shared what I’ve been up to with you. I ended up catching the horrible cold/flu virus that’s being going around this season & it just wiped me out. However the good news is that…. A: I’m on the mend & should be back to my normal self again soon. B: The Ink Paper Girl website is up & running!! Hooray!! I’m SO excited to finally be able to share it with you. It’s definitely been a labour of love (or strong dislike, depending on the day…tech stuff does not always come easily to me). To celebrate I wanted to post something that was pretty (I LOVE making pretty things) & uplifting. I wanted my post to share the anticipation of the beginning of new things, of warmer weather & of springtime here in Australia. That’s not asking too much is it? A couple of weeks ago I was lucky enough to get my hands on some of the NEW items from the Stampin’ Up! Holiday Catalogue for 2017. There are SO MANY cool stamp sets & packaging options in this years Holiday Catalogue, that it’s too hard for me to pick just one favourite. So I made my life easier & ordered all of my favourites….I mean what’s a girl to do right ;-). I started out leaving the box as it came, white. But somewhere along the line I changed my mind (it happens all the time) & I decided I wanted to colour it. Now because these boxes are so incredibly sturdy when assembled I couldn’t get my original box to flatten back out. It wasn’t a problem though, as these guys come in a pack of 8, meaning I could simply grab another one. 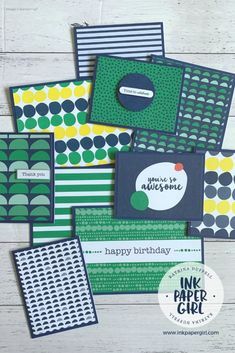 To get a lovely even colour all over, I used one of my Stampin’ Up! sponge brayer’s to apply a couple of layers of Pool Party ink to all the external sides, front, back, top & bottom. Then came the process of deciding on which kind of ribbon, twine or type of thread I wanted to use to wrap around the box. In the end I settled on using the Gold Metallic Thread, Flirty Flamingo Bakers Twine & the NEW Jute twine from the Holiday Catalogue. 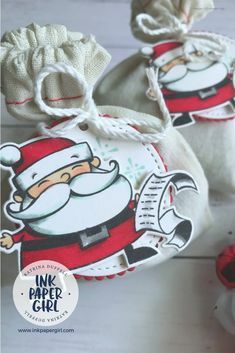 I made a sweet little gift tag using the NEW Everyday Label Punch from the Holiday Catalogue as the base. The luscious leaves were made from some Lemon Lime Twist card stock, & cut out using a leaf die from the Eclectic Layers Thinlits die set. 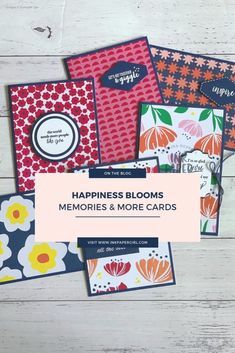 The perfectly pretty flower was stamped in Flirty Flamingo, Berry Burst & Peekaboo Peach before cutting it out using a flower die from the same Eclectic Layers Thinlits die set. Now I’m sure you can agree that while the box is certainly lovely enough in it’s own right, I needed to put something inside it. So I set about making a some mini cards/gift tags & paired them with the NEW 3×3 Whisper White envelopes from the Holiday Catalogue. To make sure everything coordinated perfectly I sponged a little bit of Pool Party ink onto the card base, before adding the leaf & flower elements. As a final touch I glued a few mini gold sequins onto each card, along with a metallic gold enamel dot. I stacked them nicely together & tied them with some more Flirty Flamingo bakers twine to keep them from sliding around & getting damaged inside the box.